Discount available! Recommend SET OF 50 RED LEDs to your friends and get your Discount. 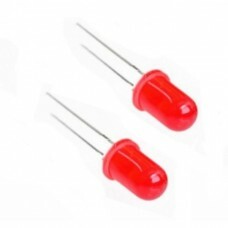 50 pcs Ultra Bright 5mm Round LED Diode, color red. Current 5-20 mA.